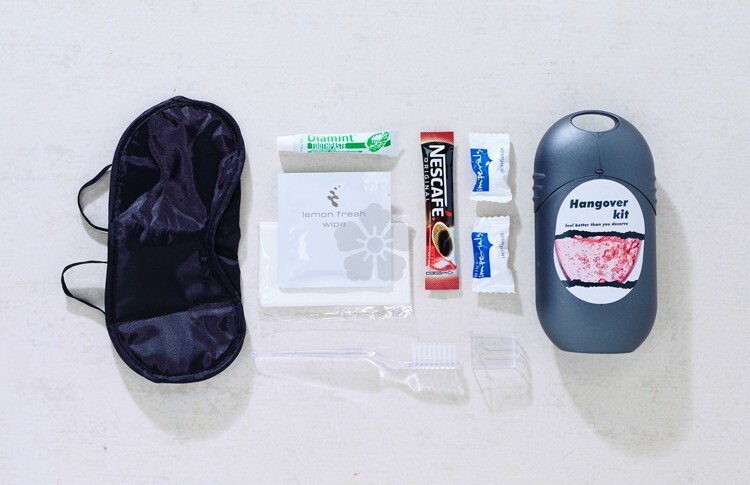 Help your guests recover with our custom printed Hangover Kit. Containing a coffee sachet, mints, eye mask, refreshing wipe, tissues, toothbrush and toothpaste this handy kit supplied in a reusable plastic pod has everything you will need to freshen up after even the heaviest of nights! 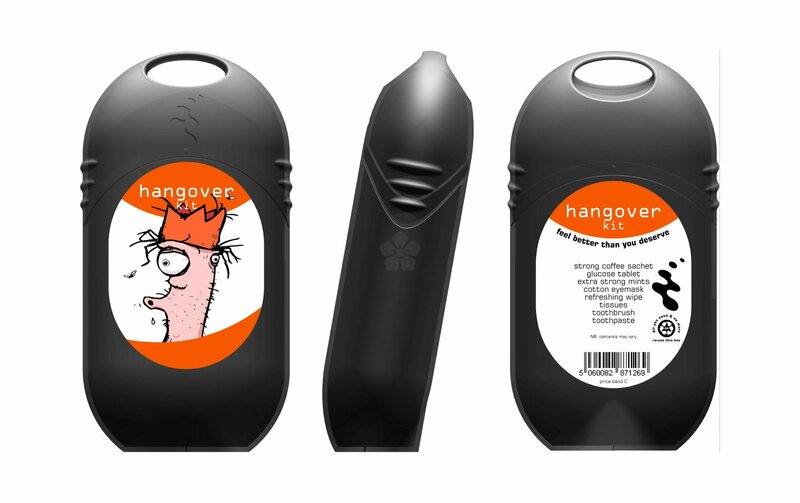 Branded with your design in full colour to the labels on the front and back of the pod as standard. Other themed contents and mix & match options available POA. Please call for further information!